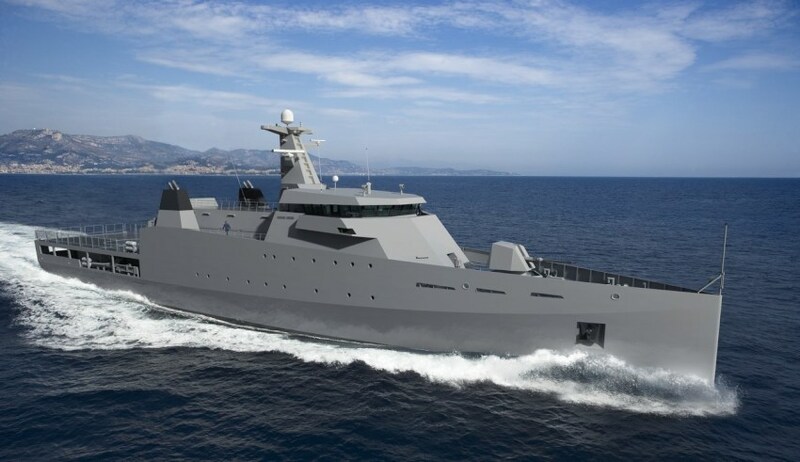 The Offshore Patrol Vessels project has been touted as an ideal opening for Australia to expand its export opportunities through whichever European tenderer secures the bid, and now one tenderer has plans to have as many as three offices across Australia. Defence Connect spoke with Damen's Australian representative Mark Todd about the Dutch company's plans for its future in Australia, and further expansion is on the cards. "We have an office here already," Todd said. "We have nearly a hundred vessels in Australia already, we have an office established in Brisbane." But with the OPV build to take place in Adelaide and Perth, the shipbuilding firm is making arrangements to expand from Queensland to the south and the west. "Our intent will be to establish further offices in both Adelaide and Perth," said Todd. As for which office would be the best fit for the company's main Australian headquarters, Todd said the logical choice is Perth. "We'll be teaming with the ASC Forgacs JV, joint venture, to build these ships. Initially ... the full Damen Australia will be established and the head office for Damen Australia will move from Brisbane to Perth. Because clearly that's where we'll be building 10 [OPVs]. That sort of makes just a common sense approach. "Our intention in Adelaide is a little bit different to Perth. Perth will establish the longer term presence for Damen Australia." Damen's expansion plans are similar to those of its fellow OPV tenderers. Earlier this year, German company Fassmer announced plans to establish an office in the Australian Marine Complex (AMC) in Henderson, Western Australia. Austal, which is currently based in WA and has partnered with Fassmer for it's OPV bid, is also planning to establish a new design and project management office in Adelaide. Another German tenderer, Lürssen, has also set up its operating office in Perth and recently appointed respected Australian military figure Vice Admiral (Ret'd) Chris Ritchie AO and former federal cabinet minister John Sharp to its Australian board, as the company looks to build up a shipbuilding and naval export business in Australia. The OPV project is valued at $3 billion. Two of the 12 vessels are slated to be built in Adelaide, while the rest will be built in Perth once construction on the Future Frigates project begins in Adelaide.